If you’re looking for a city with Old World Charm but still offers much to do; then look no farther than Michigan’s Little Bavaria – Frankenmuth. Nestled north of Flint and South of Saginaw and close to the Birch Run Outlet Mall, you’ll be driving distance to some of mid-Michigan’s great shopping locations and large cities. With popular tourist attractions like Bronners, Zehnders, and the entire main street of shops; you’ll always have something to look at. And you’ll never get bored with Frankenmuth’s many festivals and activities including: Oktoberfest, Zehnder’s Snowfest, World Expo of Beer, The People’s Race, Bark Bike & Balloons, and many, many more yearly festivals! And just in case you need some help with figuring out what to do; you can download the FREE “Explore Frankenmuth” app from the Android or Apple app stores! 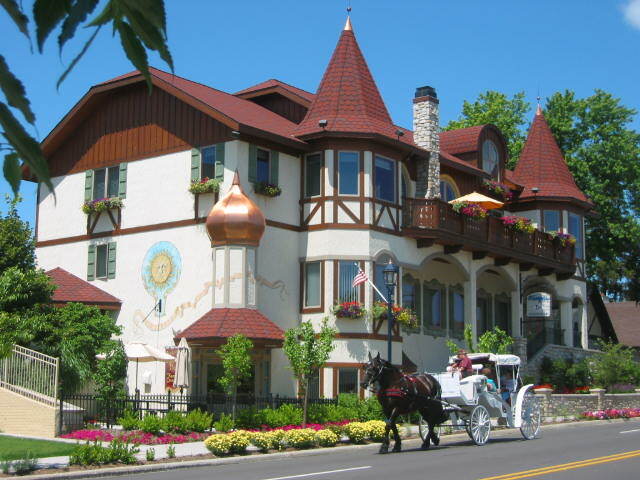 With so much to do in Frankenmuth, the best thing you can do is find the perfect house nearby and explore it all for yourself! If you're interested in Frankenmuth homes, please fill in the form to the left and we'll have an agent contact you soon!